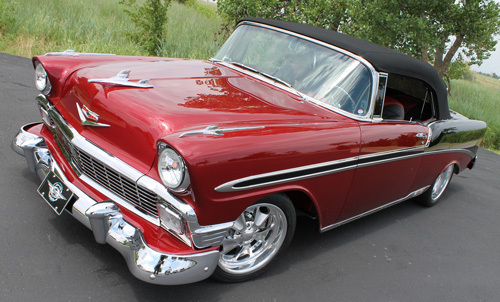 John Provenzano’s incredible custom ’56 Bel Air wows at the shows, and brings home the trophies! Right out of college, I shopped for a new 1962 Impala at “Grandpa” Mohr Chevrolet in downtown Dallas. 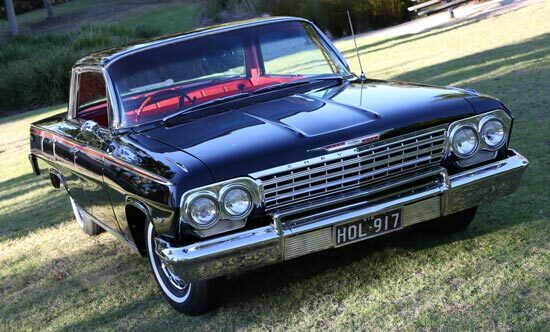 The salesman handed me the keys to a 409, 4-speed SS Impala, and said to take it for a drive– no salesman present! Needless to say, I enjoyed the test drive. I wanted that car but simply could not afford the extra several hundred dollars it cost versus the 327, 3-speed Impala I ended up buying. We sold that Impala sometime in the ’70s, and typical story– years later we wished we had kept it. 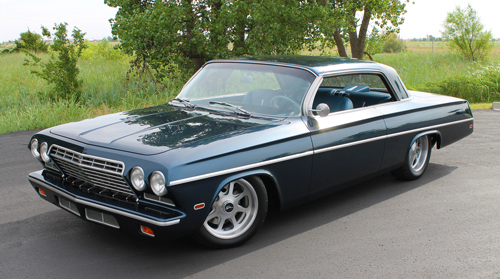 Even though I built several other cars over the years, it was always in the back of my mind to someday do a ’62 Impala. I bought this ’62 at a swap meet in 2001, and it sat until 2005. It had more body damage and rust than I first thought– lots of repairs to do before the real modifications could begin. Do you believe that only coupes and convertible body styles qualify as collector cars? If you do, then as a Chevrolet enthusiast for over 50 years, I find this opinion difficult to understand. Thirty-five years ago when I was looking for my Impala, I ignored Impala convertibles and coupes for sale because I preferred the look of a 4-door hardtop. Chevrolet has offered a variety of body styles, and today we are fortunate to see so many restored 2-door models at car shows. Conversely, it’s unfortunate that so few 4-door hardtop examples survive. It’s worth remembering that Chevrolet produced 4-door hardtops for just 20 years– 1956-1976.